Boats, buses, bingo and BA – extra fuerte! 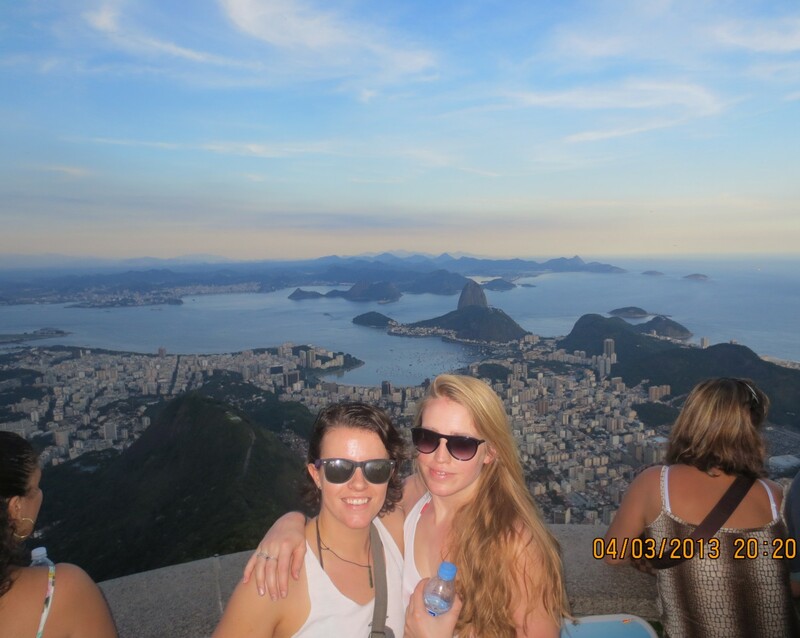 | Westlakes Abroad in South America!! Westlakes Abroad in South America!! Boats, buses, bingo and BA – extra fuerte! Apologies we’ve been a bit slack on the old blogging of late, we’ve been very busy making the most of our time here in Argentina and having a lot of fun! We arrived into Buenos Aires just before Easter and the whole town was dead. It was a completely different city 3 days later once the Easter holiday had ended. Argentina have a crazy financial system at the moment where, officially, you can get 5 Argentinian pesos to 1 $US, however the fact is that on the black market you can get up to 8.2 pesos to the dollar which has made our time in Argentina a LOT cheaper than it could have been. We spent just over a week in Buenos Aires and absolutely fell in love with the place. We spent a lot of time visiting amazing markets, one in particular, San Telmo market, ( http://www.gringoinbuenosaires.com/neighborhood-guides/san-telmo/ ) stretched on for miles selling everything from handmade jewellery, to leather goods, food and alpaca and lama wool items. But the best thing was that there was a band on every street corner playing music whilst people tangoed and danced around them. Another highlight was ‘la Bomba’ – http://exposebuenosaires.com/la-bomba-del-tiempo/ a 17 piece percussion band set up on a stage with a very enthusiastic conductor all beating their own distinct rhythm whilst hundreds of people danced their socks off in an old warehouse. I’ve never heard anything like it but it was fantastic and the residence of Buenos Aires get to enjoy it every week on Monday… Lucky them! We visited the spot where Eva Peron is buried; I say buried, but really she’s been encased in a tomb. The cemetery is incredible (once you get past the many scary looking cats camped out on people’s graves) – it’s full of tombs rather than graves really, some the size of small chapels. Some had clearly been there a lot longer than others and had fallen into disrepair and I spent most of the time wandering around with my jumper over my nose and mouth as I was convinced I was breathing in dead people especially as coffins were poking out of crumbling walls in places..! We took a bus tour one day in the hope of learning a bit about Argentinian history but sadly the commentary on the bus just pointed out landmarks within the city and who had built them, along with repeating the same bit of tango music over and over which drove us nuts by the end! It was a good way to get our bearings though and figure out which spots we wanted to go back to and visit. A favourite was ‘la Bocca’ which is a really colourful area of BA with houses painted in bright colours and weird manikins poking out the windows. Its turned into a bit of a tourist hot spot though so we were accosted by lots of people trying to get us to eat in their restaurants or have our pics taken with tangoing couples. You may have seen on the news that there was a considerable amount of rain in the Buenos Aires region – a town about 60km from the city was badly affected but the outpouring of support from the Argentinians was amazing. The capital’s cathedral steps were completely snowed under in bags of clothes, food, mattresses and supplies which would make their way to families of those most in need – it was really inspiring to see the outpouring of help. We were both reluctant to leave as we really fell in love with BA but there’s so much to see in Argentina so our next stop was Bariloche in the lake district. The town is next to a huge lake and surrounded by mountains and the scenery is stunning. We did a bit of trekking but barely scratched the surface. Bariloche is famous for it’s chocolate production so we did a spot of tasting (it would be rude not to!) and had a very decadent afternoon whilst sheltering from some rain in a Swiss Village, where we had an amazing cheese fondue. I also had a ‘submarine’ which consisted of a cup of hot milk with a chocolate bar dropped in – nom nom nom. Last week we took a boat trip travelling down the coast of Chile to the ‘end of the world’. We both thought we’d be sailing past icebergs, whales and rich wildlife. Sadly the truth was quite different and for the first 2 days we mainly saw fog…and rain. Though we did see the odd seal pod swimming past and a glacier on our last day. We met some great people on board though which kept us entertained, we got our pics taken with the captain of the ship and had a highlight of the trip was a very fun evening of bingo! The food was pretty questionable and we were convinced that by the 3rd day they’d just put all the left overs in one dodgy ‘corn pie’ – which had everything from sweetcorn to mince, egg, chicken and even the fish from a few days before! Mmmmm yummy!! We made our own fun though and ended up doing the ‘W’ trek in Torres del Paine with a bunch of people we met on board so it worked out great! A blog update on our 5 day trek through Torres Del Paine National park soon to follow! ← You mean thats not how you’re meant to say Empanada?! Sorry Uruguay! You may only be young once, but you can always be immature. That’s all folks! Colombia – Implants, coffee and cocaine. What a holiday!